On the other end of the spectrum, in the news, four local Masonic Lodges and the Wisconsin Masonic Foundation are among those who donated funds to supply local first responders, schools and other community organizations with AED (automated external defibrillator) devices. Saving the life of a sudden cardiac arrest (SCA) victim is predicated on speed; the quicker the victim is treated with an automated external defibrillator (AED), the higher the likelihood of survival. In Lafayette County, one of the most rural parts of Wisconsin, officers are often first responders to SCA emergencies–a reality that has made AEDs a necessity while on patrol. This is why Cardiac Science, a global leader in AEDs, is proud to announce that theLafayette County Sheriff’s Office selected Powerheart G5 AEDs to help their patrol officers save lives. Lafayette County covers 640 square miles and a population just shy of 17,000 people. Gill said the sheriff’s office will place the new AEDs in the jail, in the county courthouse, and in the three patrol cars that are out on the road during each shift. 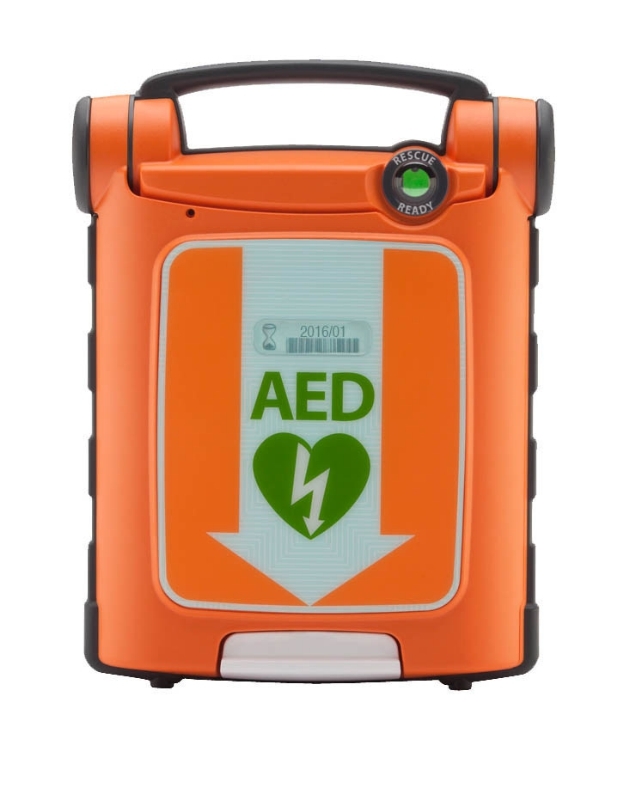 The Powerheart G5 units will replace existing AEDs. Gill said that his office first became aware of the new Powerheart AEDs through a presentation at the quarterly meeting of the Badger State Sheriffs’ Association. Funding for the new AEDs was provided by four local Masonic Lodges and the Wisconsin Masonic Foundation as part of the Wisconsin Freemasons’s ongoing support for AEDs for first responders, schools, and other community organizations. Additional funding for the Sheriff’s Office AEDs came from the Benton State Bank. The Powerheart G5 was designed for ease of maintenance. It conducts daily, weekly, and monthly self-tests and has a highly visible indicator to confirm the device’s Rescue Ready® status. It comes with an 8-year warranty and a 4-year performance guarantee on its Intellisense® medical grade non-rechargeable batteries.